© Alexander Hays. All rights reserved. 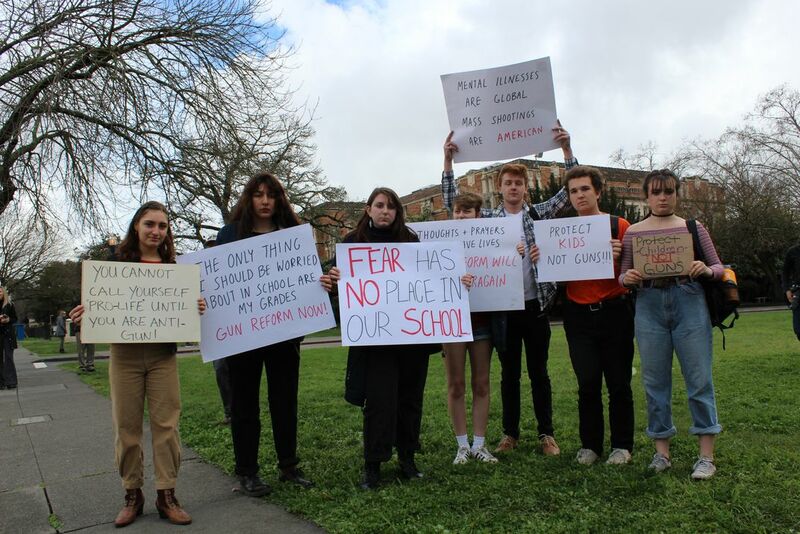 A gun control walkout was held at Santa Rosa High school, in which many students of the school rallied due to the multitude of school shootings that had occurred in the months prior to this. One of the women pictured is Emma Ruderman,(pictured in the middle) who was the organizer of said event. She went on to say in a piece by the Press Democrat that "It's bringing awareness to Congress"
Date Uploaded: Sept. 13, 2018, 2:16 a.m.